Those grieving loved ones lost, recovering from abuse, walking through a dark night of the soul and suffering in many ways have been given a great light. It’s really dark right now, but the street outside my house is well lit. Every house in sight from my house is trimmed with bright Christmas lights, and the glow from those thousands of lights illuminates our neighborhood every night during the holiday season. In fact, according to NASA, satellite data confirms that nighttime lights around major U.S. cities shine 20-50% brighter during the holidays, compared to the rest of the year. Think about that. The lights from holiday light displays are so bright that they can be observed from space. But that shouldn’t be all that surprising. We know that light shines brightest in the darkness, and there’s no place in the universe darker than outer space. But the hearts and the homes of many this year will be pretty dark. Amidst the carols, pageants and celebrations, the holidays are not “the most wonderful time of the year” for all. Tears will be shed around the Christmas tree for loved ones who should be there, but won’t be this year. Deaths of loved ones, separation and divorce, even military deployments will leave missing seats around holiday tables. Holiday celebrations will be ruined by some who use the occasion to indulge addictions. Domestic abuse will terrorize families. 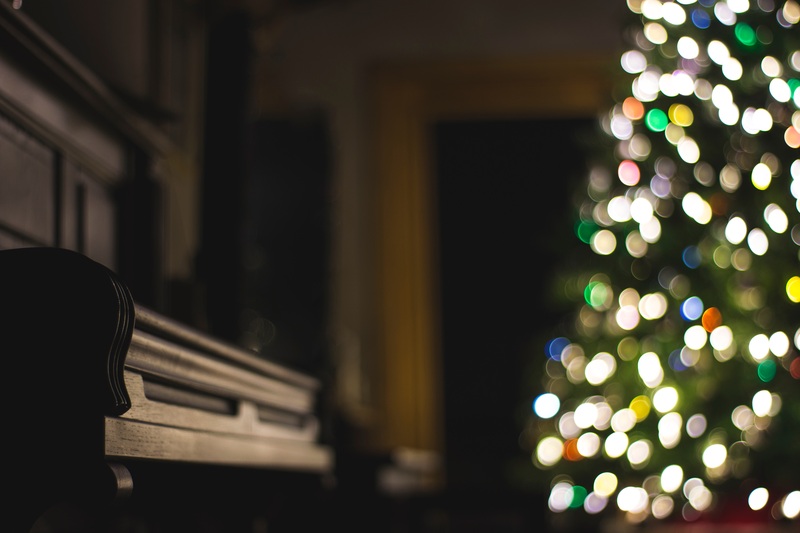 The “stubborn darkness” (as Ed Welch insightfully calls it) of depression, sometimes magnified in this season, will rob others of the joy that carolers and worshippers sing about. Traditional gift-giving will be cancelled this year due to unemployment and poverty. In 732 B.C., the invading Assyrian army had “brought into contempt the land of Zebulun and the land of Naphtali” (Israel’s Northern Kingdom), entering through “the way of the sea” (a major international highway during Isaiah’s day) and casting the area then-known as “Galilee of the Gentiles” into deep darkness (Isaiah 9:1). Isaiah seizes the opportunity to proclaim the advent of a future Deliverer who would break the rod of the oppressor (Isaiah 9:4). This future King would reign on the throne of David. His government would never end, and neither would the peace, justice and righteousness that He would bring (Isaiah 9:7). This King would have many titles, further signifying His greatness: “Wonderful Counselor, Mighty God, Everlasting Father, Prince of Peace” (Isaiah 9:6). It was really dark when Jesus came in a most unexpected way at a most unexpected time, 400 years after the most recent prophecy of His coming. Think of the angst of Israel’s faithful, living under the oppressive thumb of Roman rule. The Romans were just the latest regime to oppress God’s people. When the promised Rescuer came, he came as a baby, born in a barn to teenage parents who lived in abject poverty. But He came, and he brought light. It is really dark for many people in December 2016. Those grieving loved ones lost, battling addictions, recovering from abuse, walking through a dark night of the soul and suffering in hundreds of other ways have been given a light. Christmas is all about brokenness. The season is about pain and angst and hurt. And it is about light dawning, shining brilliantly in darkness, shining in our hearts, and giving us peace. Greg Wilson holds two Masters of Arts degrees, in Marriage and Family Counseling and Christian Education, from Southwestern Baptist Theological Seminary, is a Licensed Professional Counselor – Supervisor in the state of Texas, and is a featured Pre-Conference Workshop teacher at ABC’s 2017 National Conference.